Contact us for a QuickBooks Point of Sale Desktop Multi-Store quote on unadvertised pricing! Use only ONE software to manage up to 20 stores! Let your clients gain more control over their business! It has become so easy to track sales, manage inventory and customer info using QuickBooks Point of Sale (POS) Multi-Store. The software is really simple to set up and use. Step-by-step built-in tutorials will show you how to get started, get to know the common functions of QuickBooks Point of Sale (POS) Multi-Store. 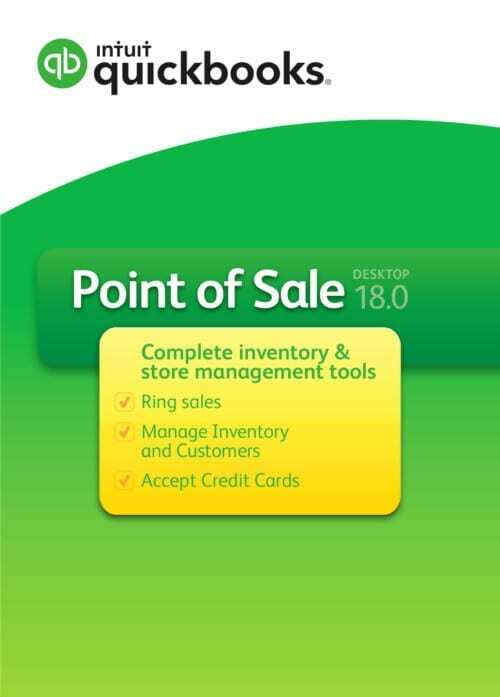 QuickBooks Point of Sale (POS) Multi-Store includes all the features of QuickBooks Point of Sale (POS) PLUS the ability to manage up to 20 stores. The software lets you work with multi-store data, track inventory transfers between stores, do all the accounting tasks – all in one program. QuickBooks Point of Sale (POS) Multi-Store allows you to find and reward your best customers. You can track inventory using purchase orders, serial numbers, size and color. The software allows you to track employee’s time, sales commissions and easily integrates with QuickBooks Payroll. Use pricing Management Tools to update prices fast and easy. 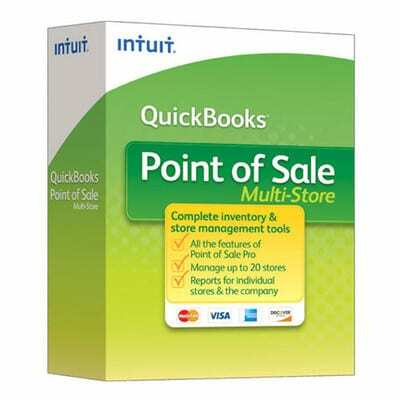 If you work in Excel, QuickBooks Point of Sale (POS) Multi-Store lets you import data in no time. When you purchase QuickBooks Point of Sale (POS) Multi-Store you also get 50 pre-built reports that allow you to have sales, inventory and customer data on your fingertips. QuickBooks Point of Sale (POS) Multi-Store lets you accomplish many of your accounting tasks in a fast and effective way. You can create customized reports that will contain only the info you need, improve your marketing strategies with the help of the data received from the Customer Center, customize receipts and price tags, track orders, use a bar code scanner to ring sales, manage discounts, gift receipts, and do so much more. Our world has gone mobile, why don’t you use the advantage? Track sales and view inventory data using your tablet or smartphone. 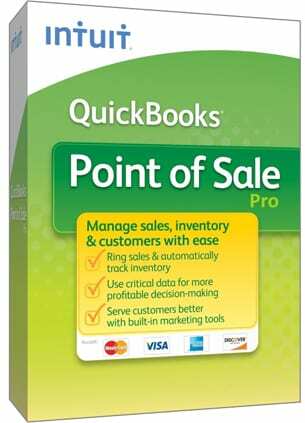 Buy QuickBooks POS Pro to manage your inventory on the highest level!